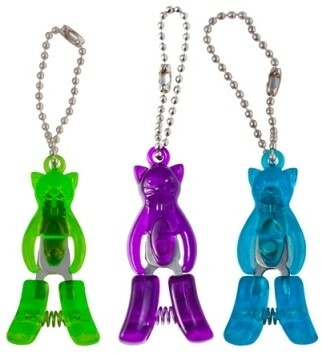 HiyaHiya snips now come in kitty form. These scissors are handy little tools that fit easily into even the smallest accessory case. They are only 1-7/8" when closed and come with an attached chain. Assorted Colors; we choose from the stock sent to us by HiyaHiya (we are unable to order specific colors). If you are looking for a specific color, feel free to call us to place the order (800-968-5648).